Based in Lucknow, we are one of the leading placement and recruitment agencies, and offer our clients remarkable Ticketing Services. 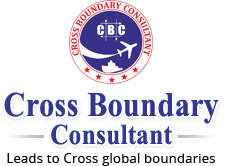 We offer our clients variety of Airlines, be it International or domestic, we make the instant bookings within the budget of the client. We make use of Computerized Reservation System) like Amadeus Galileo and Abacus Software so that customers can get instant information about the airline timing and rates. We offer the personalized services at a competitive price to the clients. If you have any query, you can contact us.